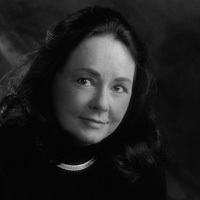 Together with Thomas Lux in 2001, Ginger Murchison founded POETRY at TECH, Georgia Tech’s poetry program and reading series, where she worked seven years. A two-time Pushcart nominee and a graduate of Warren Wilson’s MFA Program for Writers, she has published articles, book reviews, and interviews, and her poems have appeared in Atlanta Review, The Chattahoochee Review, Horticulture, Terminus Magazine and several anthologies, including Volumes II and III of Java Monkey Speaks: A Poetry Anthology. Her first chapbook, Out Here, was released by Jeanne Duval Editions in 2008. She is editor of The Cortland Review.